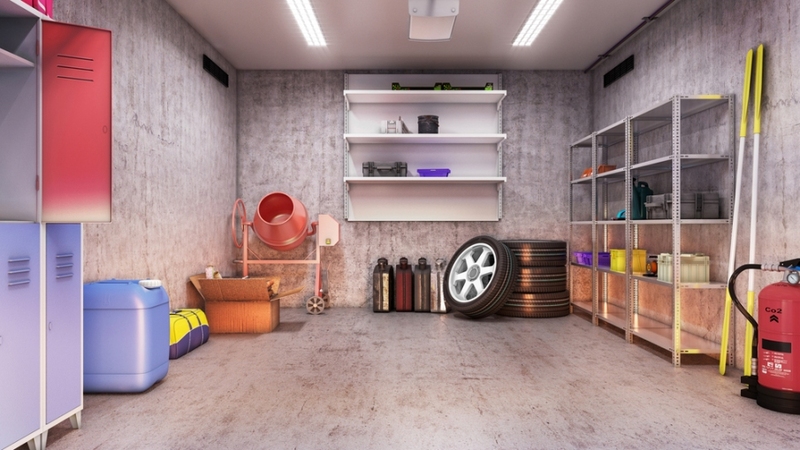 The garage is the prime spot that most homeowners store the items that are not wanted or needed inside the house. Paints, stains, tools, vehicle fluids, sandpaper, and other similar items are better kept in areas away from small hands or stored foods. Cabinetry designed for garage and workspace areas is the perfect storage solution. The convenience of having wall mount storage cabinetry in your garage or work space cannot be underestimated. It allows you to keep all available countertops and workbenches free and clear of clutter. You no longer have to stack things in bins or boxes and can locate them easier. You can even incorporate floor to ceiling storage cabinets that hold an enormous amount of stuff. Heavier objects, containers of vehicle fluids, and tools can be safely and simply tucked away using under counter storage cabinetry. It’s a way to keep a ton of stuff in an area that is off the floor and out of harm’s way. You can choose from materials like stainless steel that are durable and resist corrosion. You can also choose from a variety of colors and cabinetry size. It’s easy to fully customize your workspace without much effort. The cabinets will last for years and look great. You can add wall mount or under counter cabinets as part of a complete remodel of your work space. Add installed workbenches or roller-design for mobility. You are guaranteed to have both the work table space you need to get projects done and the storage capacity to stow all of tools and materials. Imagine how much better your projects will turn out if you finally have the storage and workspace you need to get it done. Cabinetry for garages and workshops is an affordable way to improve the way you do things everyday.